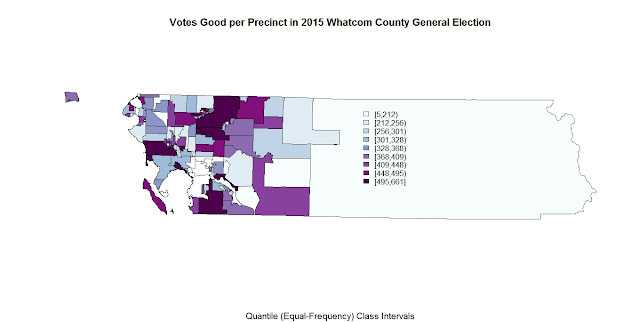 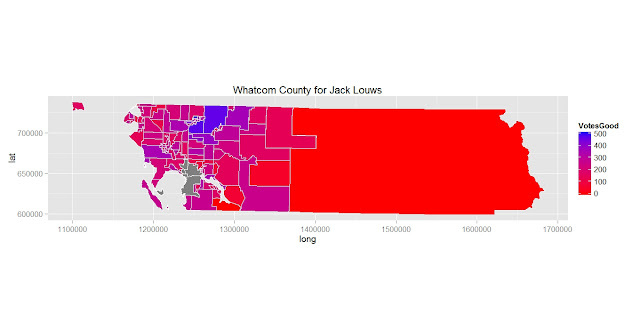 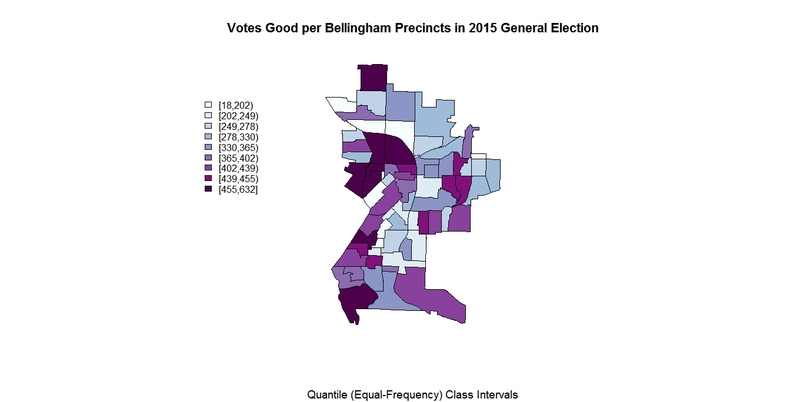 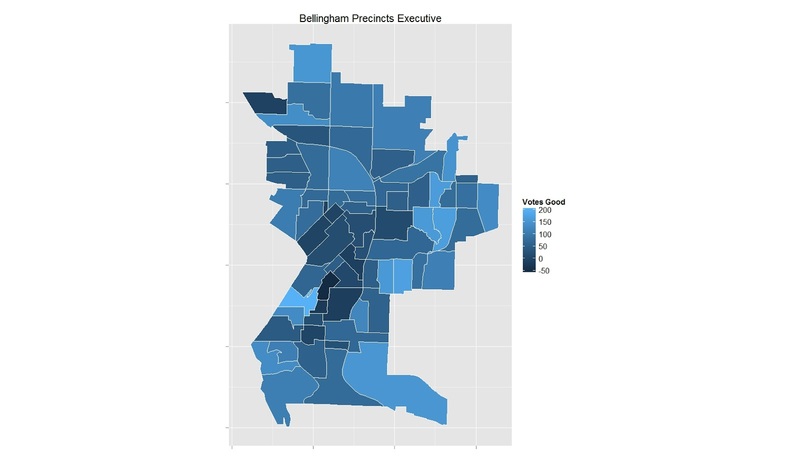 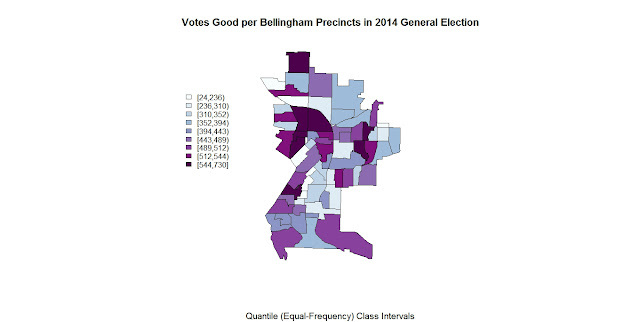 Bellingham Politics and Economics: GIS based precinct maps: Ballots Good, Jack and Joy. GIS based precinct maps: Ballots Good, Jack and Joy. 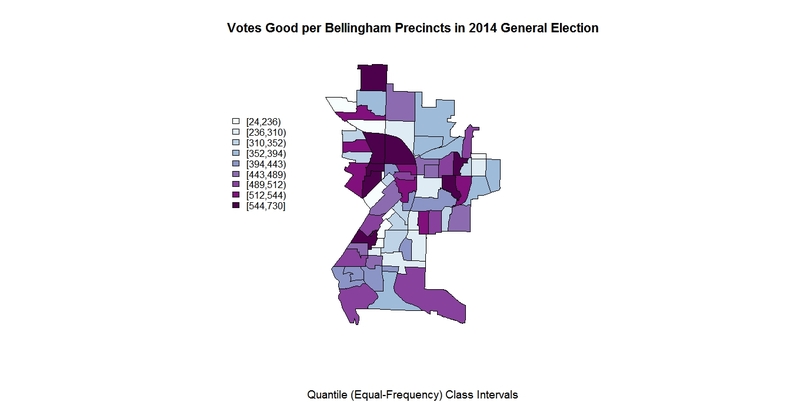 These are 2015 precinct election maps. GIS code in R is time consuming and complex. Click to enlarge these maps. The equal frequency (quartile) class intervals are expressed as: (min,max) for good ballots for the 2014 and 2015 general elections. 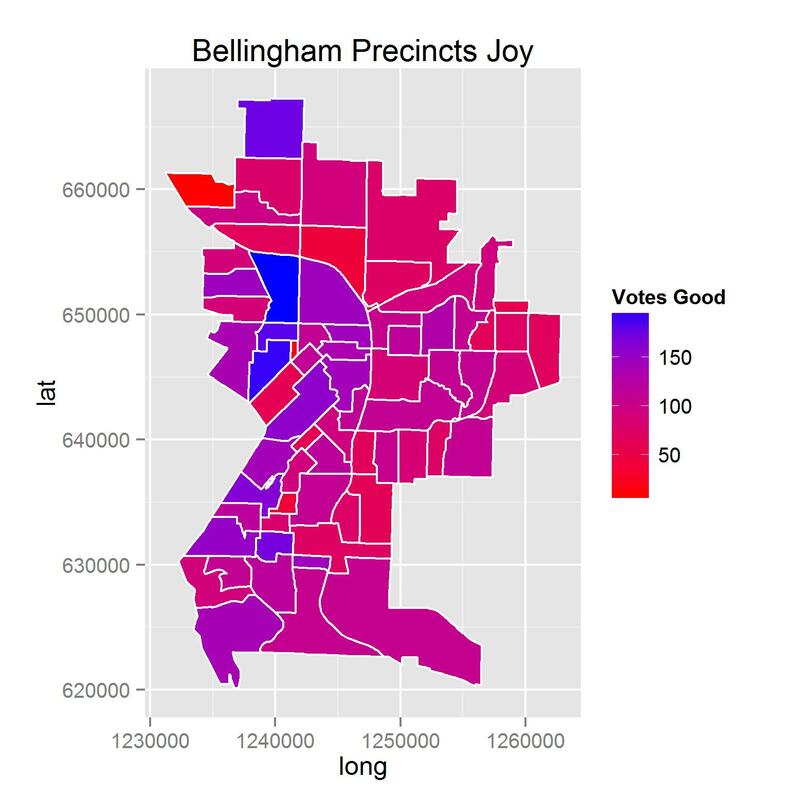 The Jack Louws, Joy Gilifilen, and precinct differences (Jack - Joy) totals for 2015 are expressed in color driven scales which have separate ranges (indexes) per map. 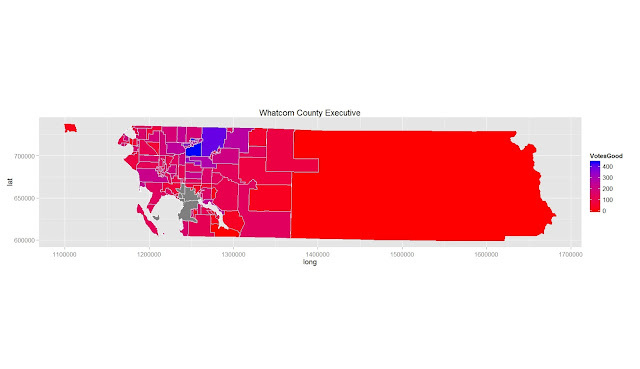 Both precincts 182 and 183 have part of their data hidden in the totals by the state of WA to protect privacy. The shape files and precinct maps can be found here. 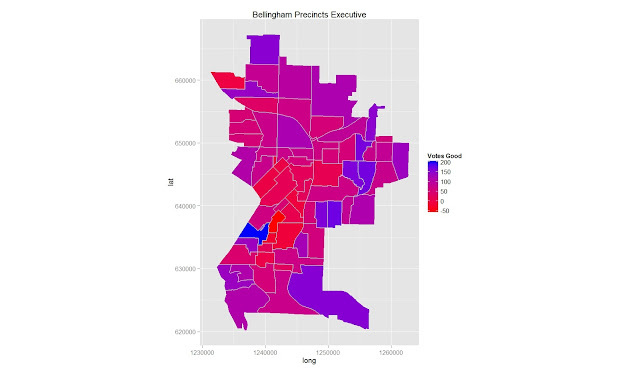 My R code (which is very derivative - see 1,2) can be found here (3,4). If you are a friend and you need code and data, email me.